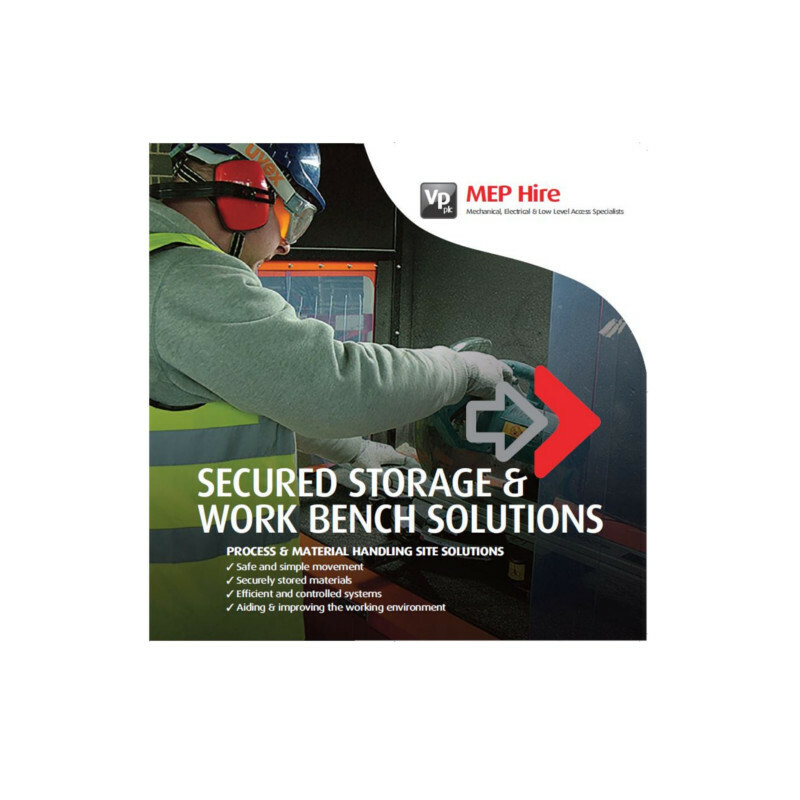 MEP Hire launch an unique and innovative range of ‘SITE SAFE’ Storage and Work Bench Solutions. As our customers Health & Safety managers focus more and more on reduction of noise, clutter and control of dust on-site MEP Hire identified a need to offer improved site working solutions. You only have to visit the average construction site in order to experience some of the issues surrounding the everyday use of materials, including storage, site management and cutting. Making materials secure on site is an everyday challenge. MEP Hire has introduced a range of secure storage, material handling and work bench solutions. Our SITE SAFE range increases efficiency, enhances safety and delivers the secure storage of materials. SITE SAFE includes – CUT SAFE, WORK SAFE, STORE SAFE, PIPE SAFE and CARRY SAFE offering many safer solutions from taking receipt of materials to final installation. For the past 9 months MEP’s product innovation team have worked with a UK manufacturer securing a bespoke range and an exclusive partnership. All units are finished in a high quality polyester powder coating, in bright orange, ensuring our products stand out and are highly visible.